Home » chemtrails » How Long do Contrails Last? A) According to all the books on clouds in the last 70 years, contrails last anywhere from less than a second, up to several hours. If depends on the atmospheric conditions at the altitude the plane is flying. It’s unrelated to the weather on the ground. 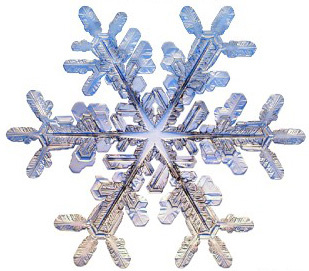 Q) How long does a snowflake last? Why is this basically the same question? Because contrails are generally made of ice crystals. Jet exhaust contains a lot of water vapor (the chemical reaction actually produces more water than there was originally jet fuel), and when this gets shot out of the back of the engine at 2000MPH, it hits the frigid air (typically colder than -40 degrees), and the water vapor condenses and freezes, very quickly, into tiny ice crystals, just like snowflakes. So why do these ice crystals sometimes stay around for a long time, and sometimes vanish in seconds? The temperature is well below freezing, so they can’t melt, can they? This is puzzling because it involves something that most people know nothing about “sublimation“. Sublimation is when a substance (in this case, water), goes directly from being solid to being vapor (a gas), without actually melting into a liquid. It’s like evaporation, except instead of a liquid evaporating, it’s a solid (ice). If the air is dry (i.e. there is little water vapor in it), then the ice crystals will quickly sublimate into vapor, and the trail will vanish quickly. However, if the air already has a lot of water vapor in it, then the ice will sublimate slower, and the trail will last longer. If the air has so much water vapor in it already that it can’t hold any more (i.e. 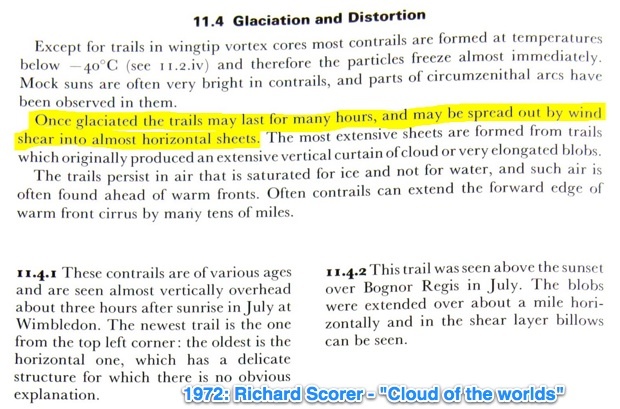 it’s “supersaturated”), then the ice crystals can’t sublimate, and so the contrail will stay around for a long time. The ice crystals might even attract water from the air, if there is enough, and the contrail will get thicker. Winds might make the contrail spread out to even cover the whole sky. The above is a simplification, as other factors like temperature, pressure, and sunlight have an effect. But it explains the basic reasons why some trails last only a few seconds, and some can last for hours, and spread out to cover the sky. Q) How long do clouds last? This is the same question because contrails are clouds. Contrails are physically very similar to cirrus clouds (except they are long and thin), and so they act almost exactly the same. You see cirrus clouds that last for hours, so why not contrails? another day of Los Angeles full white hot haze “contrail” cover. Yes. Are you keeping count? What are we up to so far? way too many. Today There were some noticeable in the evening 6pm through a break in the apparent clouds. It doesnt seem to matter at all if the weather seems cold and moist, or dry and sunny, they can cover the sky and appear regardless. I’d make a guess that a minimum of half the whole year so far has had persistent contrails. So that would be, by your reckoning, about 42 day that have “had persistent contrails” this year. How many days would you expect? How many days would you say you saw persistent contrails in 1990? March 30, 2010. Look at the skies. Here is Texas we had some persistant contrails in the morning but the high in the Gulf quickly steered the upper level moisture to the east by noon. Now it’s completley clear. Spooooky! There’s several persistent contrails in the sky here. It’s the weather. A couple of the flights I’m seeing right now must have drunk pilots. I watched two of them moving west, but then u-turned back towards the east. They must have gotten their directions mixed up. Some of these contrails are only formed as a pilot turns around, leaving a small U-shaped persistent contrail. It’s completely normal. The best thing to do is ignore it. Wow, I’m looking at a couple of flights right now. There must be a great number of new airports. It’s too bad, it was sunny before the “persistent contrails” changed the atmosphere. It’s the weather!! persistent contrails over Los Angeles March 28 and 29th. Yes, there’s been quite a few contrail days this month. I’d say there were a lot more than last year. #1 – It’s the weather. Some years are different to others. #2 – It’s a huge government conspiracy for which the only evidence is more contrails days. 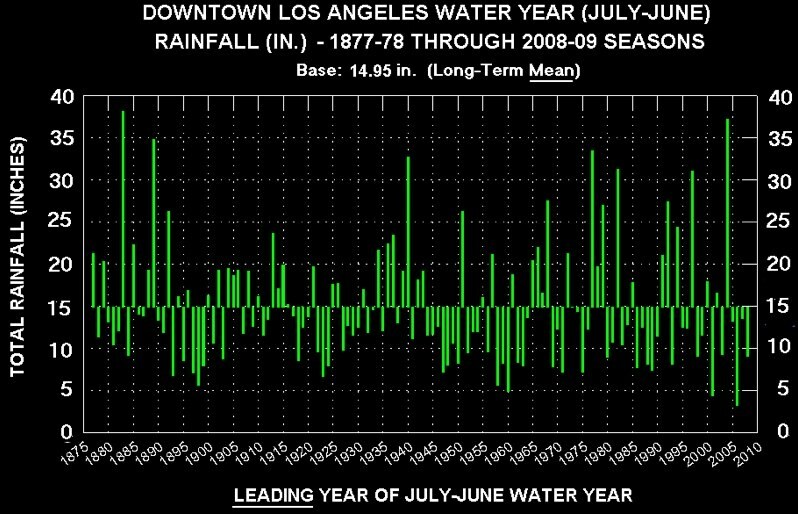 See the HUGE yearly variability there? And if you look into the figures (which I encourage you to do), you can see that the rainfall in March also varies greatly from year to year, ranging from 0 to 12 inches. So given these huge variations in the weather from year to year and month to month, it’s hard to be surprised when some years you have three times as many contrails as you did the last year. If you had three times as much rain, would you start to think that was a conspiracy? What about, as actually has happened several times in the last 100 years, SIX TIMES AS MUCH? Or could it be the weather? I assume these aircraft were in a hold. Large turbofan aircraft need to hold at specific speeds at specific altitudes to conserve fuel. There are charts that we look up in the hold. It depends on weight and altitude. If the chart says the best fuel consumption for holding at say, 30000 ft is Mach .67 then that’s what we do. You accomplish this by either setting the auto-throttles to hold speed for you or you do it manually by adjusting the throttles yourself. The problem is in the turning portion of the hold you need to add more power to maintain speed. I suspect that if the conditions are right you would only make a contrail at the increased power settings during the turn. This further points to my theory that I’ve only seen my own contrail in a hold when we were holding at a much higher than normal speed to intentionally burn off fuel. I’m sorry you find these persistent contrails alarming but I understand that if you don’t possess an in-depth knowledge of the concepts involved in aviation and the atmosphere they would seem very strange. Contrary to assumptions made in current methods of contrail forecasting, the contrail factor is not constant for a given engine type. The contrail factor varies even for the same engine at different power settings and flight conditions. Which would confirm your theory. Then it should be possible to moderate trail production by automatically adjusting the power when a layer approaches saturation and trails begin to persist. That should be possible to detect by analyzing pressurization bleed air for water content and factoring in aircraft speed and barometric pressure. 1. Engines are different from engine to engine. You may be able to suppress one engine’s production but then your engines would be out of sync. 2. The speeds we travel at are always determined by some important factor. I have to fly as fast as the plane will go because of how we bill our trips. The airlines fly at speeds that reduce fuel consumption. You can’t change engine parameters without a resultant change in speed. Then there’s always flow control. 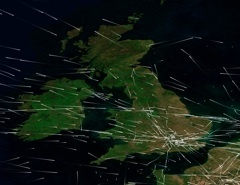 ATC would rather have trails in the sky than a traffic jam or a collision. 3. I imagine that there comes a point where even a wide range of engine performance will result in a contrail- no amount of tweaking then would create a change. 4. We don’t like having extra stuff on our engines or planes because every pound we add means one less pound of payload we can carry. So no extra sensors or suppression devices please. For interesting discussion of this subject. Number two makes some false assumptions and number three is poorly written and absurd. Re #2, it would seem like you could at least get some reduction in contrail cover with minimal costs, maybe with computer assisted ATC specifying flight levels? The problem is you could maybe get a few of the planes to change altitude but if you start funneling aircraft into non-contrail condusive altitudes those altitudes would fill up rather quickly. The paper mentioned something about an 800 foot change- not good. Now one airplane effectively would be using the level two hundred feet below him and the level 800 feet above him. Any benefit of free flight would quickly be negated by the increase in traffic volume. Probably not going to happen though, not enough of a problem to be worth the effort at this point. Even with plane-to-plane traffic control I suspect there will always be vertical seperation dependant on direction of travel. I can see course correction for traffic avoidance but I can’t imagine changing altitudes multiple times thoughout the flight. But like you said- it will probably never be an issue that will require mitigation. Thanks for that interesting set of thoughts. Avionics is always increasing its complexity, redundancy, and its integration with co-dependent systems, in spite of the risks brought about by its increasing complexity. Pilots may end up wanting to darken their windows to prevent themselves from screaming out and frightening the passengers. For further developments read Michio Kaku, Iain M. Banks, etc., etc. Look Uncinus, I love you as a human being, and I really do mean that. I wish I could give you a hug, because we are all in this together. I admire your effort regarding this issue, but sir, the cat is out of the bag. Sunicnu, I’ve tried to present the best evidence in the “Best Evidence” post, but I can’t find enough to make a good case. Can you help me out, and suggest what I might add to each of the five categories? Because really the “best evidence” for “chemtrails” is looking pretty weak right now. The Carnicom Institute has some of the best evidence for stratospheric aerosols. More and more evidence of stratospheric aerosols is validated almost every day now by Carnicom and others. It would help if you tell me SPECIFICALLY what is the best evidence. You should read his other quotes as well. Good stuff. THERE IS NO EVIDENCE OF CONTRAILS. THERE IS NO EVIDENCE OF PERSISTENT CONTRAILS. Your fondness of Sunstein and Russell speaks VOLUMES. Verily, pride does come before the fall. Collectivism is doomed, and in the long-view of history, it is only a matter of a couple decades until the INDIVIDUAL is supreme. Remember, just like in Soviet Russia, as soon as the “New Order” is FULLY and COMPLETELY implemented, your type will be among the first to go because you know too much. You do not seem to realize that there are four other sides to the pyramid you’ve been climbing. The behavioral evidence of chemtrailers is the most predominant and crushing evidence against them. Their behavior NEVER includes a scientific analysis of, or a scientific discussion about ANYTHING. They are simply going to make a whole string of ludicrous assertions by way of self-justification. It’s going to have to be ludicrous because of the extreme position they have already put themselves in. They already know it isn’t too difficult to defend themselves, because most people lack sufficient scientific understanding to see through their lies. So, without science, what’s to discuss? How mad they are? That’s the only interesting part of this business… How many people can be infected by this madness? Without science, they can make the argument in reverse. They quite easily claim that knowledgeable people are tools or agents for unknown others. The only cure for the sociopathic behavior exhibited by chemtrailers, and the like, is a raising in the general standards of education for logic, science and human psychology, for EVERYONE. This will soon sort this type of person (gullible and prone to mistakes in thinking) out for special treatment and render their victims less pervious to their shrill importunings. 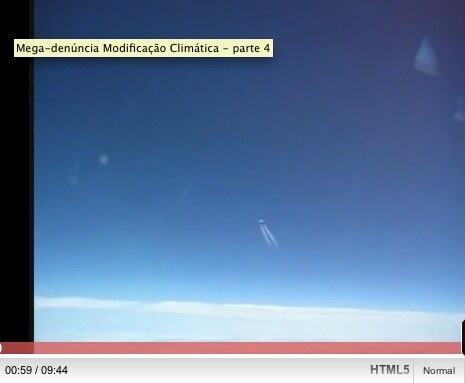 Sunicnu, there is as much evidence for contrails as there is for clouds. Do you also think clouds are a government plot? How can you believe in these contrails when there is absolutely no scientific evidence for their existence? Collectivism- always for “the greater good” of the “greater number,” as decided by those in power. JazzRoc, you have shown your true colors. Sunicnu, I think you might be using a different standard of “scientific evidence” than other people. If you don’t accept that, then can you give me an example of some scientific evidence for something, so we know we are on the same page. Let’s say seagulls, or clouds if you would prefer, or something else. Alternatively, perhaps you could explain what you mean, rather than speaking in riddles? Anyone can place a call to the Air Force, as I just did. They will not deny the aerosol operations, however they will tell you that they (the Air Force in your country) are not responsible. If you live in the U.S., the unmarked aircraft are likely not U.S. aircraft. If this seems unreasonable, look to the open skies treaty. Have you been up in the sky behind a moving plane? I didn’t think so. Your “contrails” are just natural clouds. Also, these trails can be seen on a winter day from your own breath. If you go outside, notice that your breath forms a condensation cloud. If you walk balkwards, you will create a “contrail” that eventually spreads out and obscures vision. It will go away after a couple days. Or, get a couple of blokes in a freezer with you. After a while, you will lose visibility because water vapor can spread out and obscure vision, remaining for days. This is actually true, if you managed to live long enough and they keep breathing. A few breaths will not spread out much, but you’d probably be in a pretty foggy freezer after a few minutes. Part of that is from people breathing. Really Sunicnu. Why do you have to resort to this sarcasm and riddles? Why not just say what you mean? Have you looked into the science of contrails at all? Sunicnu- your post number 139 makes me seriously think you are flame-baiting us. In which case I applaud your douchebaggery! I wonder that sometimes. But I think it’s actually just his style of rhetoric. Not terribly effective though. I think what I find irritating about his methods are the absolute statements. If it’s not flame-baiting he seems so entrenched in his ideas that he is not willing to consider any alternatives. I prefer an open discussion with give and take. I think our discussions with CTYForg were at least slightly more open and in the end we may have come to some agreements. I never had a false color in the first place. I note your color is the color of a person who neither listens to or understands scientific argument* and the proper rules of debate**. This is OK by itself. But it is not OK if you get round to making public, unsupported, inaccurate and sociopathic inferences about the activities of people you know nothing about. My ‘color’ has ALWAYS had issues with your ‘color’. These will remain until you learn something, anything, about the subjects you’re dancing around. * You haven’t read the links, you don’t comment on or acknowledge the science involved. You appear to believe it to be deniable. ** You don’t answer questions put to you. Instead you change the topic. Yes- I too have noticed a general aversion to direct questions. I say we come up with one single question that needs to be answered. Not something that has been hashed over a million times here but something easily verifiable and observable. Chemtrail enthusiasts (generally) believe that there are essentially two classes of aircraft products. Short traditional contrails that dissipate within seconds and long persistant chemtrails that are not normal, are “new” and are purposefully created for some effect. So is there such thing as a “hybrid” trail that neither dissipates in seconds but also does not last and spread out? Is there a trail that lasts say, ten minutes? And if so what tyoe of trail is this? Contrail or chemtrail? Why would the government not just spray at night? Then no one would see the trails and it could be done so that as your are getting out for work or school in the morning the spray is just reaching the ground and infecting everyone? If it is a cover up, why not really try to cover it up? I have also read the crazy idea of painting chemtrail grids over cities, well it seems that a grid would be the least efficient way to spray, does it not make sense to do vertical or horizontal spraying only to maximize coverage, instead of having overlap? Hi, This is a very interesting site. All of what you are saying as it pertains to contrails is of course entirely correct. BUT, I have a few questions I wonder if you would mind to answer them? 1) What drove you to create this site? Are you a scientific researcher studying jet exhaust or similar. this is (i dont mean to be rude) odd choice of subject for something that is merely a hobby I would think. I am just trying to figure out your motivation. 2) How do you explain away the admission by the German government that they HAVE been undertaking geoengineering by means of the release of stratospheric aerosols. 3) The UK government has also admitted to spraying an unsuspecting population with germ warfare agents, do you agree therefore that the government sometimes does things without our consent or approval and that these things may or may not be harmful to the general population AND that these things will be classified and therefore for the most part unprovable without whistleblowers? 4) I am from the coast of the northwest UK, I have observed aircraft flying over me toward the coast emitting a giant plume of a trail – once out over the water they some how “shut off” these plumes, turn 180 degrees, and then head back to land over which the “plume” reappears. This is not NORMAL flight behaviour. I see planes do this many times a day some days – other days not at all. The routes they take are not part of the current flight paths (I have checked with my local air traffic control). How would you explain this? 5) The US has recently announced they are considering geoengineering via the release of large volumes of (as yet unidentified) aerosols and sulphur to mimic a volcanic erruption. If spraying the skies would make them whiter – and there is proof that the skies ARE already becoming white, is it not reasonable to assume that there is some of this geoenginnering / planet saving spraying going on? Air traffic has been around for a long time but these persistant trails and white skies are a (relatively) new phenomenon. 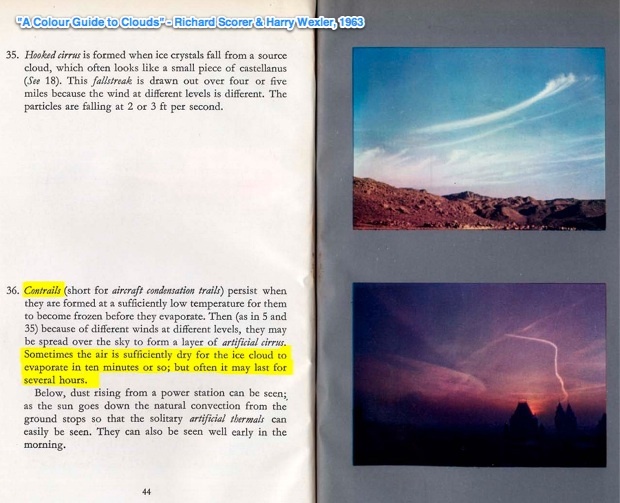 What has changed and how do you explain the sky whitening / cloud lightening experiments? 6) I could go on but this is probably enough to start with – except for one thing more question. IF the government admitted tomorrow that they had in fact been spraying the skies with chemicals / aerosols / metals / whatever, how would you feel about that? I am serious in trying to determine what is the truth behind all of this. Persistant contrails are first laid in a series of X`s – aircraft later fly through these X`s leaving more linear or grid like patterns – I am trying to determine if these X`s are some kind of marker? My raw data is still being worked on and I waiting until i have a years worth of daily data / persistant contrail sightings and footage before i crunch the numbers and run correlations. I am as I say serious in examining this phenomenon but from what I can say there is some evidence that points to these trails being something other than mere "contrails" not least with the govt`s of the world admitting to some form of spraying going on. Finally having just re read the above i know the data for contrails / persistant contrails i measure because i take measurement s and count / film trails at specific times for which data is available – 9 am. 12 midday, 3 pm and 6 pm. I have a weather station near me, and i use air traffic control data to know what flights are around. I`m sure you`ll find a way to argue with me though having read the above although if you read my posts properly you`ll see i am not saying for sure that they are spraying us daily with stuff, merely that there seems to be some discrepancies that i can see with my own eyes, alot of people believe they are doing us harm – im not sure about that as they have to breathe the same air – whomever they are. The govts are starting to admit that they have or are spraying for geoengineering purposes – i think a proper investigation is warranted with no theory being dismissed out of hand because – if they were doing this, it would be classified, and therefore we would not have access to know for certain. I can see that there are some points even you cannot account for. . .
1) What drove you to create this site? Yes. And it’s the absence of whistleblowers that’s another huge point against the theory. Military jets on maneuvers, different air masses. But really I’d have to see it. Can you draw a diagram, or upload video? Who is your local air-traffic controller? It seems odd you could talk to someone who would know about high altitude traffic. 5) If spraying the skies would make them whiter – and there is proof that the skies ARE already becoming white, is it not reasonable to assume that there is some of this geoenginnering / planet saving spraying going on? No. We know why the skys are “becoming white”, there’s no need to invent an extra theory to explain it. Assuming you mean in large quantities, then I would be very surprised. The data you have been collecting sounds interesting. Why don’t you share it? And think about why you give credence to a theory when so many obvious falsehoods are used to support it. I give credence to it because to me there is some things that dont seem fully explained – even by you unicus – though you certainly do try ! My data, as i said is still under collation. I want to do a proper job of it, so i will wait until i have a whole years worth. I dont buy the planes with nozzles etc i think IF this is real that they wouldnt be so foolish as to allow people to take photo`s of it. The planes I see going out and back are not military small jets – they appear to be 757 sized or bigger – usually 2 engines. Do you actually see the planes turn around? I’d suspect they might be regular commercial air traffic travelling in two directions. i.e. it’s not the same plane. Asperatus is interesting. Nobody is claiming it’s a cloud type that did not exist before. It’s simply a new classification. Something between mammatus and undulatus. There are a vast number of possible cloud forms, so the distinctions between them are always going to be somewhat arbitary – when does a cumulus become alto-cumulus? When is it fractus? I think the acknowledgment of Asperatus owes a lot to digital photography, and the image enhancement that allows you to see the features of the cloud. When you see photos like those in the article, then that’s not actually what it looks like. The contrast and color saturation has been enhanced. A normal photo of it would look washed out. If you look up photos of Mammatus, you see similar stunning images the like of which you’ve never seen before. But Mammatus has been a classification for decades. Well, that would depend on the intent of the program. I would expect the trails, and the way they spread out, to be different to normal contrails. I would expect to see many planes flying in specific patterns. I would expect there to be photos of spray nozzles. I would expect ti to be happening the same in all parts of the country. I’d expect it not to correlate with the weather. Basically though, I would expect it to be different from what has been going on for the last 40 years. When you say ” I see 3 or 4 jets flying beside each other then come back and fly directly beside the lines they just made, as in making a perfect sheet across the sky.” Do you have an example of this, photo or video? Just an FYI..a new video is coming from the “chemtrail believers” very soon. It’s called “What in the World are They Spraying.”. There was a $24,000 budget! Can’t wait to see what they come up with…should be fun! It’s interesting that they love to present “evidence” in video form, but almost never write it down. Supposedly there are conclusive test results – so why not actually publish them? That trailer is essentially a fund-raiser. I wonder if they actually got many contributions. There was also supposed to be an Alex Jones film. I also saw the first persistent contrail for a while here in LA yesterday, as the weather is changing. The onset of the cold season is going to rile people up again. well where I live the amount of chemtrails in the sky is pretty much even all year. I live in Ontario. And one more question, do contrails that last for hours need there to be a low air temperature? Because there is still chemtrails when it’s blazing hot out. Tickets for the scam film “What in the World are they Spraying? -50 degrees at 39,000 feet. but -43F at 34,000 feet. So you can see the temperature on the ground is not a good indication of the temperature where the contrails form. Just read some of the comments! OMG, these people are about to start a revolution based on their inability to understand these subjects. Is that tragically sad or what?! I hear you Facts, Faith… the evolving man 😉 I am also in shock. This story promoting the video What in the World are They Spraying, appeared on the sister site of infowars too. “Tickets for the scam film “What in the World are they Spraying? 50$ to talk with the most ignorant people on earth, can’t beat that. I hope this video does tremendously well and people take to the streets. I really do. The more people who become aware of their plight, the better. Then again, who knows…the chemtrail believers might actually be able to convince the ignorant masses that chemtrails are “real”. Either way…fun. I don’t know, Facts…. When I was last in the US working around 10 years ago, the enterence exam for new employees was simple math, physics, and mechanics. Around 20 were selected and came for the exam. None passed it. The boss asked me personally what I thought and what he should do. I said find smarter people, but he gave 5 of the highest scored out of the group a second chance. These 5 failed again. This exam contained things I learned in school as a child. If America’s public school system is as bad as I read, then I certainly believe these theorists can catch a large group of the population which would guarantee this “Theory”, which is based only on the observation of a contrail and their feeling that it just doesn’t “feel” right, will stay for a very long time. And it isn’t only contained in the US. People who believe in it lay under the most busy air corridors in the world. Even seeing those time lapse photos of air traffic doesn’t bring them back to reality. Nope, every time a plane crosses the path of another, it is a conspiracy. Must be intentional like that old game paint brush! Can’t cross lines or game over, PAL!!! hahahhahaa))) From what I read and the thing that NEVER convinces them is that contrails don’t last, “chemtrails” do. That is their biggest point which they will NEVER understand no matter if you throw them in a science class that has a teacher with the patience of a SAINT, will they learn this fact. They will write off everyone as a shill except their sites like Prison Planet, Carnicom, and Rense…. Now when I go check out Rense’s site…. Something is interesting…. the DISCLAIMER!!! the short one just says there is various information, but the full basically says that it contains loads of crap and we are free information gathering. They state something about things like the Warren report was thought to be true and government did bad things so why believe official things if they were dishonest. But we admit we take everything, even nonsense, so you can believe us. Rense Disclaimer I agree professional journalism died with 24 hour news, which turned news into entertainment. But how did those things like dishonesty in the government get found? By conspiracy groups who believe everything? Or those old fashioned journalist who interviewed everyone and sifted through evidence, disregarding the nonsense (Something Rense admits they don’t do in the disclaimer) and then presenting a hit piece for the betterment of society. As for Cliff Carnicom, I don’t understand how they say he was a scientist, defense contractor, and so on. I still don’t believe atmospheric science was his forte’… Studying a lot on biology and environmental science, I can say I lacked immense knowledge of the atmosphere. 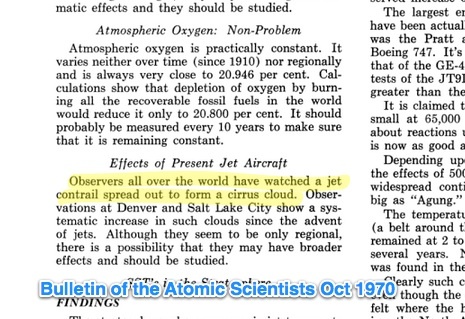 Thanks to this theory, my interest in the atmosphere has grown and I researched things, all science describes contrails as normal and that they can last. Being given tools even at elementary level to research things explained to me the process so it didn’t even leave common sense to me for judgement, but scientific fact. Why does someone who says he was once a scientist and defense contractor not intelligent enough to know that chemtrails is the most silliest thing on earth? For anyone who is scientific minded, would be dumbfounded at the I SEE IT!!! Its REAL!! What’s this film on my car! ITs from the CHEMTRAIL!! Damn them!!! Scientist would, test the contrail or jet exhaust. They did at Kent State University, be it only one jet fuel sample near their local airport.. Also one could sample exhaust itself in the open environment behind the aircraft, but that could lead to an uncontrolled sample as contamination in the atmosphere, which could be offset by multiple samples of surrounding air and comparing them to contrail samples. The common elements would be marked off. The likely elements to be in the contrail that aren’t nearly as much in other, would be exhaust from burnt aviation fuel. 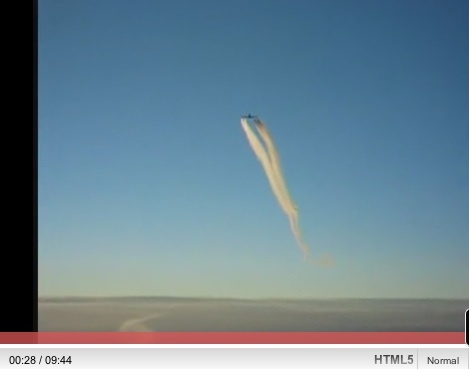 As for Youtube, another hive of chemtrail activists… well that is self explanatory. A bunch of bored people whose suburban life is too boring so they fall for every conspiracy. Some even filming light refraction from garden hose watering the lawn, making comments of chemicals in the water…. LOL!!!! It is fun for some side splitting laughter, but it is also sad. So I was listening to the Alex Jones show and that guy making that film was on as a guest and he said that they went all around the world and took rain samples and samples from bodies of water to find out the amount of barium and aluminum, and found that it was over 60 times the level that requires the government to do something about it. By the way, I’m not saying chemtrails are “real”, I just want to know the truth. 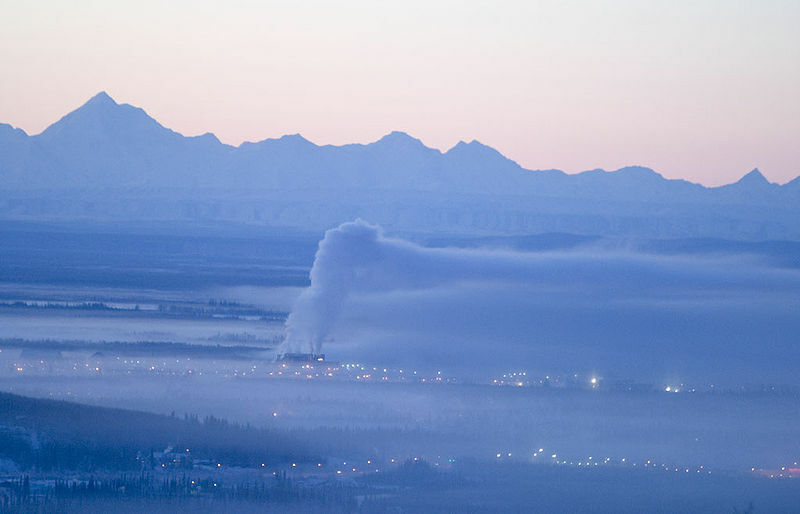 But it is kind of weird that governments have admitted to doing this and that people like John P. Holdren (Obama’s science advisor) have been pushing to spray barium in the atmosphere to stop global warming and that it is even in school textbooks. Zac, they did not go round the world. They did test various places for Aluminum, and they found wildly different values. Unfortunately they did not realize that this proves it can’t have come from aerial sprays – if it did then the values would all be the same. The government has not admitted “doing this”, in fact they have quite specifically denied it. Holdren has simply said it should be talked about, which of course it should. http://www.guardian.co.uk/politics/2002/apr/21/uk.medicalscience. Please take a look at this….unicus you seem to think your the man on this subject….personally i think your being paid….no one else replied to every post. im no scientist, expert, government minister, whatever, I am just a member of the general public who is witnessing this phenomena. I have also spoken to a friend who is a meteorologist and he agrees that whatever its is in the sky is not just contrails. strange how this summer where i live we have not had one clear day, just a white haze that covers the whole sky by about 3 pm, coming from so called ‘ con-trails’, that appear every morning. also this haze hangs visibly lower than any commercial aircraft in the sky. I dont want a reply just wish u would debat like a man and not like a government puppet. Oh and the link was just to prove that chemical spraying on humans does happen, whether u like it or not. Of course it happens, like with mosquito spraying, or cloud seeding, or even if you want to be pedantic, normal aircraft exhaust is “chemicals”. But what people are claiming is that they have evidence that some covert spraying is happening NOW, and on a large scale. Large enough to blot out the entire sky from horizon to horizon, day after day, year after year. And they have consistently failed to present ANY evidence that supports this. Your friend who is a meteorologist is quite correct that there is other stuff in the sky. Clouds for examples. But also just general water vapor, and aerosols from the usual sources. Was he suggesting something more sinister? And really, not one clear day? You live near Taunton, Devon, UK, right? Don’t you think if there actually was some REALLY unusually weather going on then someone would have documented it? Does it actually differ from a normal UK “gloomy summer, which you get quite frequently? How hard is it to take a couple of photos a day for the summer? Why, if this is the “the crime of the century”, why has nobody gathered any statistics, or anything approaching real evidence, for TEN YEARS? But it shows nothing unusual, so would get ignored. How do you explain one Contrail and one Chemtrail just in the same place, one in front of the other.. with the same air conditions??? The difference in contrail formation and persistence is due to different atmospheric conditions a the time and location of the jet. “Normal” contrails can both persist for a long time, or rapidly fade away. It all depends on the local temperature and humidity. Basically they are clouds, and behave just the same. Somehow, I don’t think you thought your cunning plan all the way through. Just to convince you what I’m saying about brazilian politics.. The actual Federal Deputy of Rio de Janeiro (Brazil), is an humorist who use the slogan “Know what a federal deputy does? Neither do I. But vote for me, and I’ll let you know.” YEAHHH ANDDDD also he was the most voted deputy of all country..
Well.. that was just something I like to say, just to show you that it’s not hard to become to see and think in a “conspiracy” view, but it’s not what I’m making, I’m just discussing the possibilities with things I see in Internet..
2) A documentary about Geo-Engineering/Chemtrails, exposed and maked by Discovery Channel, I just watch the 1st part.. But it’s very nice, please see it if possible, in this doc.. we have the both sides of the history.. The people who believe and who not believe.. Sorry for the 3 consecutive posts!! The 1st Link (about the federal deputy) that I passed is correct.. It was linked 404 just because the “)” character that I put in the end of the site.. and clicking him, the “)” extra-character comes to the adress site..
Just something that I couldnt let pass.. The link from Yahoo was on the date that he was still being elected..
Maybe if after these years of you ” ‘debat’ing like a man ” and putting time, effort, and careful thought into your comments, more than a single person could say “Hey, you’re well informed. Maybe you know what you’re talking about,” instead of spewing more nonsense and disappearing, never to be heard from again, they might actually start to see you’re not “The Man.” Just another, sensible and logically thinking human being. Cheers, and thank you for the valuable lessons. I couldn’t get more than five lines into it before my eyes burned. Here’s another post to make your eyes burn Matthew. Matthew is in the Air Force. It’s Matthew’s job to “debunk” the reality of chemtrails. You disinformationists are running out of time as more people discover what type of top secret spraying operation is taking place. The chemicals being sprayed by the Air Force are making many people very ill.
Liars like Matthew and the guy who created this web site, need to stop your disinformation campaign, because continuing your lies only hurts more innocent people. Duane, which lies are you referring to? Please point to where you found them; but please don’t just say “the whole site”. Maybe you can post a little list, but go into detail. Oh, and I’m somebody who just stumbled over this web site, I’m not affiliated with any government and I’m a hobby pilot. I don’t need to post a little list. The LIE this web site promotes is that chemtrails don’t exist. The LIE is that chemtrails are only “persistent contrails”. The LIARS who make these claims are spreading disinformation, whether being paid to do so, or not. Matthew is an Air Force shill who spends 24/7 monotoring certain web site forums to make sure that his “debunking” posts are always last. He’s not very subtle in his obsessive mission to make sure the truth about chemtrails is suppressed by any means possible. I only hope the more open minded readers can see through these types of transparent tactics and understand why certain people are working so hard to suppress the truth about the chemical toxins that are being sprayed on unsuspecting populations. What most people don’t realize is that the Air Force in particular has a very dark history of spraying chemical toxins over unsuspecting populations in the past also. Name one page you think has false facts. Then say what is false. Where do I say “chemtrails don’t exist”? Ths page has false “facts”. Under Chemtrail Myths you state.. Calling chemtrails “myths” and “there is no real evidence that “chemtrails” are real” is the same as saying they don’t exist. Would you say that is true or false? If true, could you give any evidence to support your belief? Duane- what steps are YOU taking to prevent the ingestion of chemtrail products? When I see them flying above my home, I stay indoors. So they can manufacture an invisible product, engineer a delivery system, and create a massive cover up but your house is an effective shield? Seems either they have an extremely benign product or you’re living in a perfectly sealed house. Which is it? If contrails fall down to your house to poison you, then why do they also stay up in the sky? Duane – disproving the statement “there is no real evidence that chemtrails are real” should be easy – just provide some real evidence! Chem-trails are a real issue that needs to be addressed. People who deny their existence are either not paying attention or are lying to themselves. Anyone who has eyes can see them, Seriously, just look up into the space which used to be sky. Also, have you noticed all the people with chronic coughs lately. Not to mention all of the trees around the world dying. The evidence more than proves that they exist. If you think this is a hoax or caused by frozen condensation. I urge you to get tested for heavy metal poisoning. While you are at it, also test your soil and your water. You will find that it too has very high levels of aluminum and Barium along with other things not normally meant to be there. To blindly trust is equal to death. Ask questions and never be afraid of being unpopular. Sometimes the most difficult thing to do is the right thing because the wrong thing would be to do nothing. The agreement, reached during the ministerial portion of the two-week meeting which included 110 environment ministers, asks governments to ensure that no geoengineering activities take place until risks to the environmental and biodiversity and associated social, cultural and economic impacts risks have been appropriately considered as well as the socio-economic impacts. Decisions on geoengineering cannot be made by small groups of scientists from a small group of countries that establish self-serving ‘voluntary guidelines’ on climate hacking. (Reuters) – The United Nations should impose a moratorium on “geo-engineering” projects such as artificial volcanoes and vast cloud-seeding schemes to fight climate change, green groups say, fearing they could harm nature and mankind. A senior House Democrat from Tennessee issued the first congressional report on geoengineering Friday, just as delegates from 193 nations approved a ban on such research under a global biodiversity treaty. The debate over whether humans should explore ways to manipulate the climate has taken on increased urgency over the past year, as efforts to curb greenhouse gas emissions linked to global warming have encountered political roadblocks in the United States and elsewhere. While some scientists and environmentalists have called for geoengineering research as a precautionary measure against catastrophic global warming, activists hailed the moratorium as a way to keep individual actors from altering the climate. The prohibition does not apply to the United States, which has yet to ratify the convention. It’s come to this: Climate-conscious policymakers are beginning to contemplate the possibility of playing God with the weather in the hope of slowing global warming. For years it was considered downright wacky in official Washington to discuss geoengineering: altering the climate by reflecting sunlight back into the sky, sucking carbon dioxide from the air – or a host of other gee-whiz schemes. But in the past year the wacky has won a following, spurred in part by the recent collapse of climate legislation as well as by growing interest among private entrepreneurs and foreign officials. U.S. officials are reluctant to discuss climate engineering in public: the Office of Science Technology Policy declined to comment on the matter, as did the Energy Department. Gordon, who is retiring from Congress, expressed optimism that staffers would still work on it next year. Rep. Bob Inglis (R-S.C.), who sits on the House science committee and is also leaving office, said he worries about what it means to even try to change the climate on a small scale. I urge you to get tested for heavy metal poisoning. While you are at it, also test your soil and your water. You will find that it too has very high levels of aluminum and Barium along with other things not normally meant to be there. cgodino, what is “normally” meant to be in “soil”?